Hi everyone! Julie with you here today, and I hope everyone had a wonderful Christmas! Today I wanted to share three canvasses I made using Helmar's 450 Quick Dry glue and Scrap Dots! I used the lyrics to the song "Home" by Phillip Phillips. Hello Helmar fans, Vicky blogging today. I hope you had a fantastic Christmas and are ready to scrap all of your holiday photos. 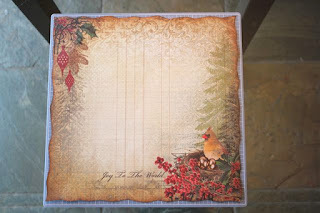 Today I am sharing how I made my "Joy to the world" layout (using my Swirlydoos December "Believe" kit) featuring the gorgeous Kaisercraft "Turtle Dove" collection. I wanted my layout to look like an elegant Christmas ball... so here we go! Select a background paper and cut out a portion of the centre. I like to either cut a square or circle to be used for another project. Make sure to leave at least a 2-inch border around the edges though. 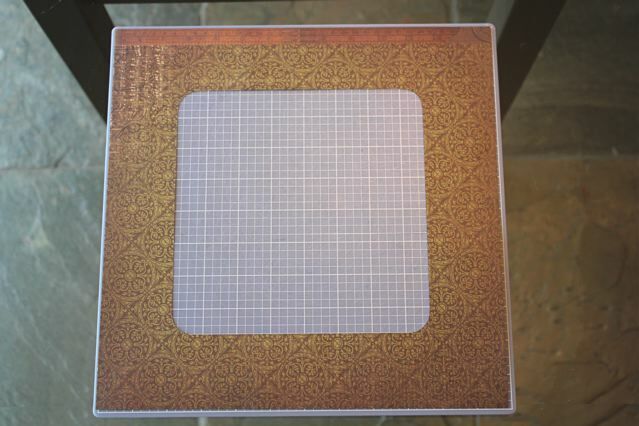 Select a top layer paper and roughly cut a wavy border around the edge - removing only 1/4 inch or so around and then ink all of the edges with brown Clearsnap chalk ink. 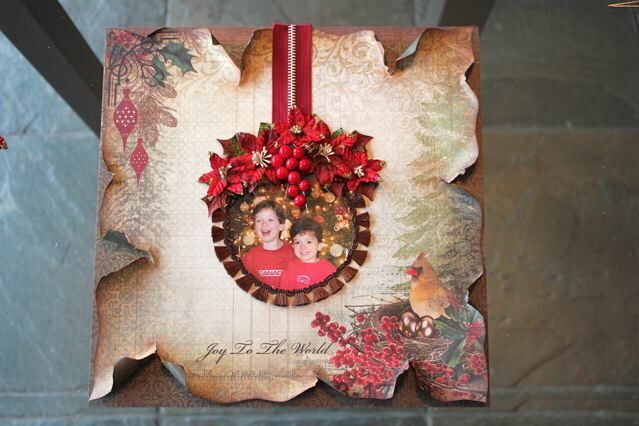 Glue it to your background using Helmar Premium craft glue, placing the glue only around the cut-out edge. 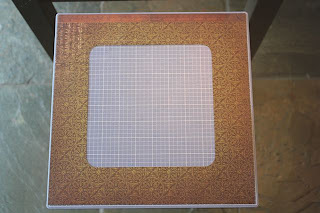 Cut your photo into a circle shape and glue it down the Helmar's adhesive runner. Next, add the zipper with Helmar's 450 quick dry along the metal and trim off excess. Lastly, glue some trim around the edge of the photo starting at the top. Don't worry the flowers will hide the gap if you are short a bit of little trim. Use 5 flowers (2 large and 3 small - I used a Petaloo pack) for the cluster and add a berry centre using Helmar's 450 quick dry. Add the Petaloo leaves around the cluster too but save 1 for later. Cut off and save the 2 leaves around the berries for later. Tear the paper in several spots and ink the revealed white core of the paper with brown Clearsnap chalk ink. Polish the layout off by adding the last 3 Petaloo flowers to the corners. In the bottom corner, place the 2 saved leaves from the berry spring under them. In the top corner, place a Petaloo leaf under the flower. I used the 450 quick dry for this too. It's the best for adhering embellishments! Well, that it for that tutorial, hope you liked it. Now on to my interpretation of this month's Helmar challenge... (that's actually me in the vintage picture, LOL). Once again I used my Swirlydoos kit plus a bit of pretty 2Crafty chipboard. I used a lot of Helmar goodness to stick this project together. I used the premium craft glue on the paper layers, the 450 quick dry on the flowers and embellishments, the adhesive runner on the photo and the acid-free glue for the chipboard. Thank goodness for terrific glue! Here is a reminder of this month's Helmar fabulous challenge. Thanks for joining me on the Helmar blog today! I usually tend to gravitate towards bright primary patterns for pages about my little guys, however it seems as if I'm using more and more neutrals lately, and having a blast with it. 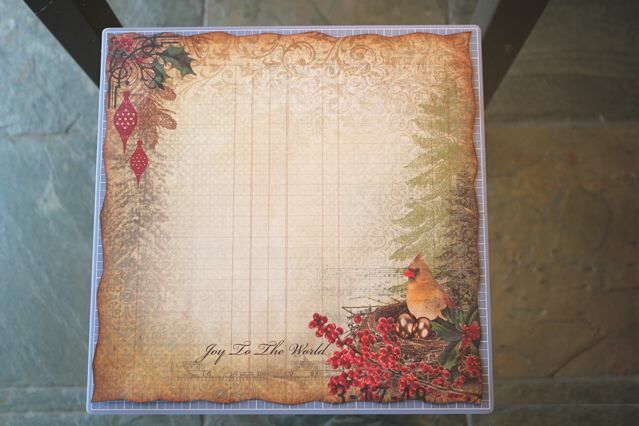 This layout is made using Classic Calico V3 by Studio Calico, and uses Helmar Acid Free Glue to hold the paper layers together. I loved slipping in the polaroid stickers from the collection, usingone of them to frame part of my title . I was also happy to use some of the adorable wooden mustaches which I stained using Tim Holtz Distress Stain, and stuck down using Helmar Premium Craft Glue. I pleated the adhesive fabric tape and stuck it down as I went for a little detail. As a last touch, I went back and added some ink rings using a jar lid, and some more Distress Stain. Don't be afraid to experiment with colours and papers that might not normaly be your thing. If you are drawn to it in the store, you can definitely find a way to make it work for you. Hello, it's Amy from Sparkling Gnome Studios, one of Helmar's Certified Educators, and I'm excited to share a special holiday thank you note I created! I have some wonderful family members that have been taking extra good care to make sure my girls are lavished with love (and a little spoiled)....since the passing of their dear grandma. So, I wanted to make a little something special for them, as a thank you for all they have done these last few months. There is simply NO way I could have made this card (and have it filled with this many layers and details) without Helmar. I began by using the Helmar Adhesive Runner. I always feel confident about sewing over the top of this adhesive, because it doesn't get gummy, and mess up my needle. Once the bottom layers were adhered, at the bottom of the card, where I used a Martha Stewart border punch, I fully filled in the open area with a layer of gemstone glue, painted on with a small brush, and then added lots of Clearsnap fairy dust glitter. Gemstone glue is the absolute best for use with glitter. Once I had sewn haphazardly around the card with a zigzag stitch, I began to embellish. The seambinding is simply tied around the card, and adhered with the adhesive runner, and adhered in the naturally falling spots, in the bends and bottom parts of the ribbon with 450 Quick Dry. . The green sparkly punchinella from Gauche Alchemy, is adhered with Helmar 450 Quick Dry. I have not found any other adhesive I can use with punchinella and look as great as with the 450. No worries about strings, or "muddying" up the outside with a cloudy look.The baker's twine is also adhered lightly with the 450, as well as the button. 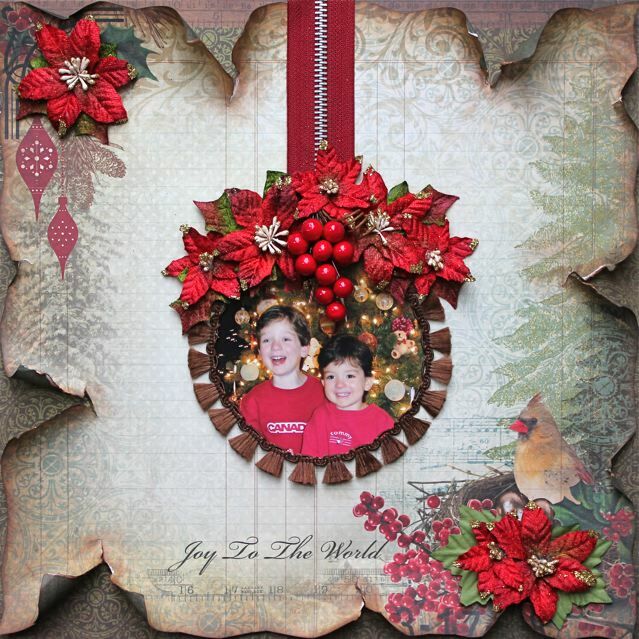 The final step in creating my card, was adding this stamped image of two little girls. This is a delicate and beautiful stamp by Pink Persimmon Stamps, called "Sweet Little Girls." This was my first try at coloring with Copics (yeah, I know, late to the partay), and I was so excited at the outcome (with only five markers, haha), that I wanted them to "pop".....so, of course I added Helmar Zap Dots (best 3D adhesive dots eveeeeerr). And you probably think that I called it done, but I made sure to add some Crystal Kote Fixative over the top, to preserve the movement of the ribbon, and to seal it all up. Thanks SO much for visiting the Helmar blog today! 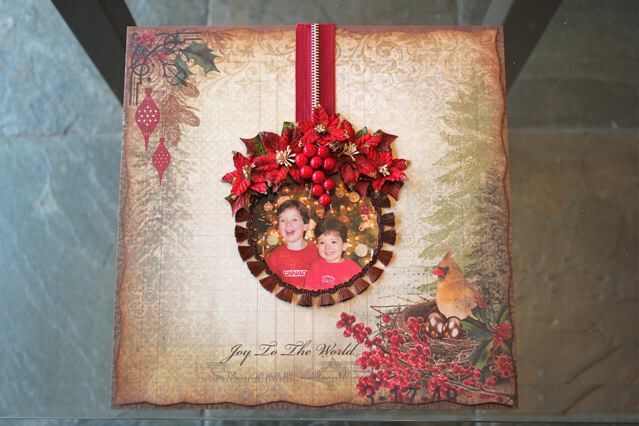 I hope I inspired you to grab your Helmar and get crafty!! Try something new with Helmar! Helmar's Decoupage. It is fan-freakin-tastic! First I inked up my letters to a color of my choosing. Fancy! Then I used a foam brush to use the Decoupage to shine them up a bit. The drying time was less than expected...about two hours (give or take). So be like me (the chick who does not enjoy change) and try something new in your crafting world. If it is related to Helmar, you can not go wrong! I was so excited to be able to play with Darkroom Door stamps this month! I have a friend I had not talked to in a long time and knew the set I was sent would be perfect for a card for her! and here is a close up of the pennents I cut for the top... one with one of those cute little stamps! I cannot believe the quality of these stamps! And with Helmar Adhesive they were the perfect fit for this perfect little card. Hey There - Rae here !! Come with me on a Magical Adventure with Darkroom Door & Helmar!! Don't you just love that word Magical, if you team it up with Adventure, you are on a winner for sure!! 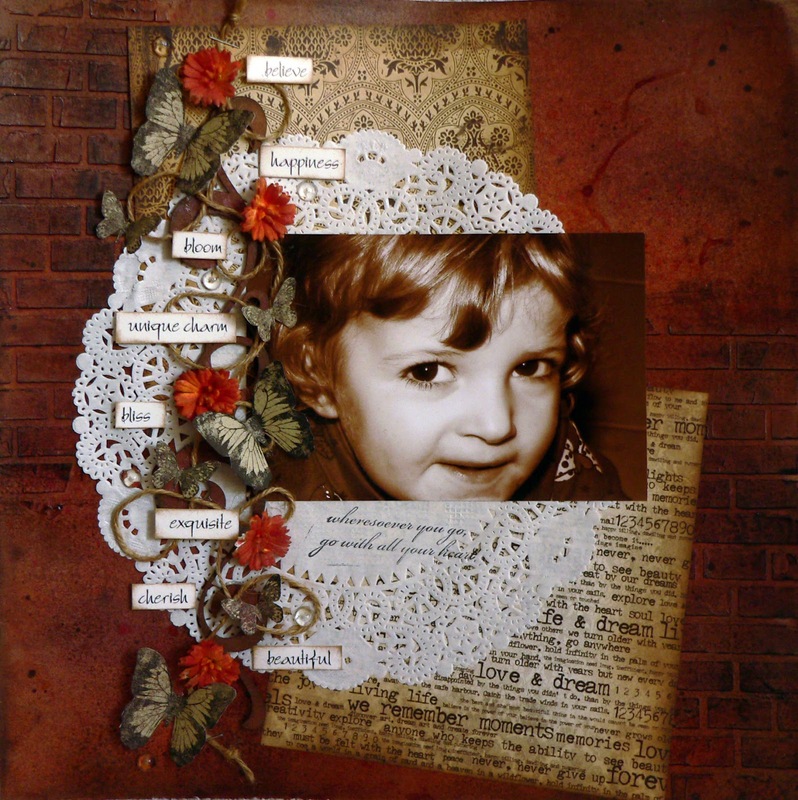 I started my Magical Adventure by chossing Paris Vol 2 - Filmstrips, Paris Vol 1 - Wordstrips to work with. To the base of the white card stock I appiled Helmar's 2 step Crackle Medium, to the top and bottom middle, waited till it was dry and then spayed black ink to the crackled areas. I adhered the Paris Vol 1 - Wordstrips to some chippy offcuts with Helmar's Acid Free Glue, then trimmed and inked edges of the words. The Chippy Film Strip was painted with Gesso then black ink was applied to give it a vintage feel, then adhered into place with Helmar's Acid Free Glue. I chose to use a strip of 3 of the Paris Vol 2 - Filmstrips which was stuck into place with Helmar's Acid Free Glue. add a Prima vine, some string and adhere with Helmar's 450 Quick Dry. I used lots of glass pebbles adhered down with Helmar's Acid Free Glue , as it dries clear and emphasise's the Crackle & other elments on the LO !! I hope you enjoyed my Magical Adventure. I loved playing with Darkroom Door's goodies they are awesome products and go so well with my Helmar !! Don’t forget to HOP over to Helmar Facebook Page and the Darkroom Door Facebook Page and then leave your comments on the Helmar Blog …..AND….the Darkroom Door blog. Leave your comments by Saturday 22nd December 2012,and make sure you come back to see if you won! This week Helmar and Darkroom Door have teamed up. Now.. what I can say about this is... OMG I have been hiding under a rock lately that's for sure !!! Why oh why have I not discovered Darkroom Door products before !?! I was in absolute heaven when my Helmar Design Team goodies arrived with some super yummy rubber stamps and word strips in it. Now I am in love with their products so much that I know that my stamp collection is just going to go through the roof soon! Yes.. these super yummy stamps!!!! Was absolutely beside myself that I had to play with the straight away. Now once I had created my base for my layout using some texture paste, paint and then glimmer mist I sealed the base of the layout using some Helmar Crystal Kote Fixative before I rubbed the base with some ink to help the brick pattern shine through the base. once this was done I sealed the whole base with some Helmar Crystal Kote Matte Varnish. It too any unnecessary shine out and seal everything nicely. Once the paper doily and paper had been adhered to the base I had created, using my Helmar Tape Runner and Helmar Acid Free Glue, I set to work embellishing the layout. Now that is where my new Darkroom Door stamps came into play. Super easy to use and just perfect for what I had in mind for this layout. Using a few scraps of patterned paper I was able to stamp some butterflies and then cut them out by hand. The best bit about the butterflies though are that they are so life like looking. I think they almost look like they are flying on my page. To give the butterflies that little bit of dimensions and also to help adhere them to the different layers surface I had already created with the twine and chipboard swirl I used Helmar Liquid Scrap Dots. It meant the the butterflies could be adhered without any worries about an uneven surface. To finish off the layout I really didn't want to do any huge amount of journalling. Now the perfect thing I found to use was the word strips by Darkroom Door. I was able to chose the words to suit what I wanted to say. I cut them out and inked each word. 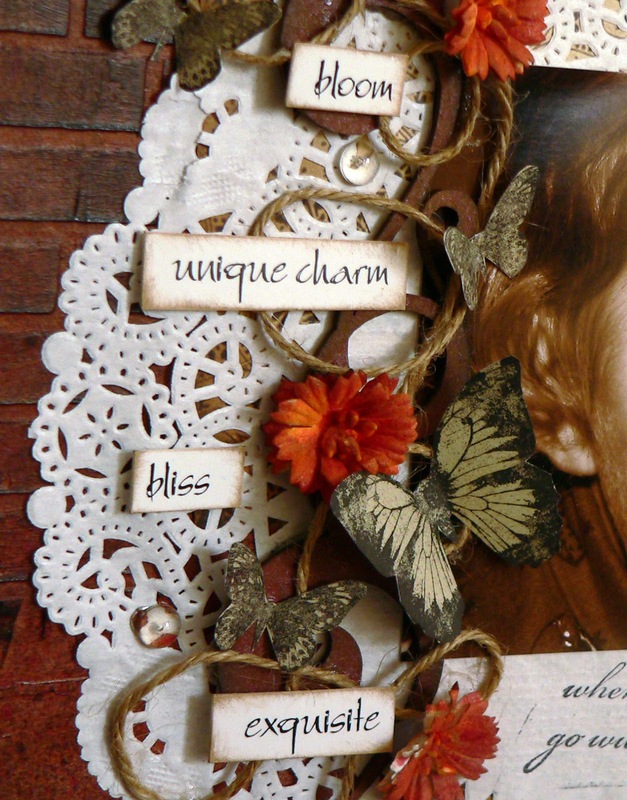 They were then scattered throughout the the twine and chipboard and adhered there using some Helmar Liquid Scrap Dots to give them some dimension. Super easy but every effective I think. And here's the layout in full. I had so much fun playing around with both my Helmar and Darkroom Door products. Don't forget to check out the rest of the amazing creations the rest of the Helmar Design Team have created using these too products. Hello Helmar friends! JJ here with an art journal page I created to team Helmar up with Darkroom Door this week. I was delighted to get a chance to work with these great stamps, but since I've never been to New York, I knew a scrapbook page wasn't the route for me. So I decided to let my geek side show, with this Doctor Who themed page. I started with a painted / textured background and added an image transfer. Then I added a lot of stamping with the bridge stamp and some of the iconography. I used 450 Quick Dry to adhere the Darkroom Door clip art because it's quite thick and my page was 'lumpy'. I also used the Decoupage to seal all the clip art and letter stickers. This week Helmar and Darkroom Door have partnered for a 'Challenge Week' where artists use Helmar adhesives, Darkroom Door stamps and paper products to create projects to inspire you! I made this simple project first and was so pleased with how it turned out. Next I had to make another design using the stamp set I received,I even used the stamp just as it came instead of cutting it apart! I loved how it turned out. Let me share a few steps along the way. Craft Glue 1.7 fl.oz. 450 Quick Dry Adhesive 1.7 fl.oz. Quickfix Adhesive Runner Zapdots Clear Round 1/4"
Decoupage & Craft Paste 8.45 fl.oz. This was how the filmstrips came and how I cut them apart and matted each section with white card stock. I surely could have used my tape runner but decided I really wanted the strength of Helmar Craft Glue-It is one of my very favorite wet glues. See I knew I was going to use my crop-O-dile and add eyelets so I wanted a very strong adhesive for the entire matted images. I used the phrases and some dogwood flowers and attached these with zapdots and 450 to adhere. 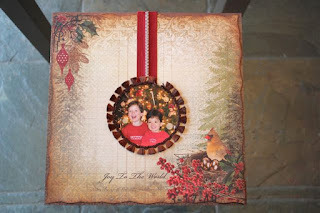 For my second project I used the stamp set just as it was...One set was stamped on my background and a second image in Red, and a third image in Brown. I chose to cut out a few images from the extra color and applied the decoupage paste and sprinkled with a glitter. Here are my images drying- it dried much faster then any other glitter glue I have used before. I enjoyed the combination of both Helmar and Dark Room Door products.